Laser Hair Removal Vs. Electrolysis: Which one is Better and why? Home > Blog > Laser Hair Removal Vs. Electrolysis: Which one is Better and why? 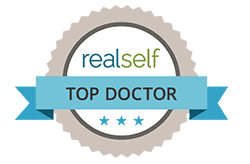 Since good looks by no means take a day off, people nowadays, are increasingly looking for the treatments and are spending money on the treatments that can make them look perfect. The most common problem we face in our daily life is to deal with the unwanted hair. We know that facial hair are the most annoying of all the unwanted hair because we even can’t hide them under clothing like we do on the other body areas. 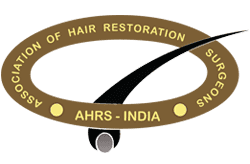 We look for the permanent solutions to get rid of unwanted hair and cosmetology has given the solution to this problem with a wide range of beauty treatments. Now the most common question arises that which treatment is better for removal of unwanted hair; laser hair removal or electrolysis. With a gaze at for the enduring treatments, laser hair removal and electrolysis are proving to be the most wanted, after hair removal procedures. Both the treatments have their own pros and cons. Let’s have a look at the laser hair removal and electrolysis before actually comparing them. First of all, it is not a permanent solution. It is actually a laser hair reduction treatment. 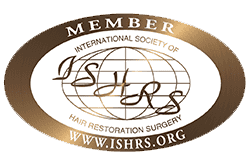 In laser hair reduction treatment, pulsating light beams are used which pass through the hair follicle and heat is generated around the hair follicle which damages it and impedes hair growth. A thin metal probe is inserted into a hair follicle without disrupting the outer skin layer. A low-level electrical energy pulse is delivered into the hair follicle, causing the treated hair to fall out. The process is repeated hair by hair on the desired area. The mainstream laser unit can only be used on those with light skin and dark hair. It can burn those with dark skin and not give optimal results for people with light hair because the laser targets pigment (dark color). It can be used on anyone despite their skin or hair color because it attacks the hair follicle itself and not the pigment in the hair. How Long Is a Session, and how many are needed? Laser Hair Removal: Facial zones are small, so they aren’t that time-consuming. To give you an idea, a treatment for the eyebrows usually takes about 15 minutes. 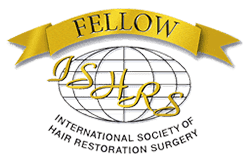 Usually, four to eight sessions are needed to achieve the best hair reduction results. 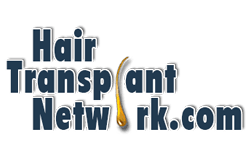 Electrolysis:hair follicle has to be individually treated, and approximate times depend on the type of electrolysis used, as some are more advanced than others. For example, one treatment on the eyebrows may take 15- 30 minutes with an experienced technician. Anywhere from 15 – 30 sessions are needed to get the best results. Laser Hair Removal: Based on the size of the area to be treated determines the cost of the laser hair removal treatment. Since large area can be covered in a single sitting, laser hair removal may cost you higher. Electrolysis: In electrolysis, small areas are treated manually and the treatment cost is usually less as compared to the laser hair removal treatment. Which treatment is more painful? Laser Hair Removal: It feels like a rubber band ‘snapping’ against your skin and a heat sensation. Everyone has their own tolerance to pain and discomfort. Coarse, dark hair feels more of the burn. So a man’s laser hair removal in the beard and mustache area will feel more painful than a woman’s lip, cheeks or chin. Electrolysis: Everyone has their own tolerance to pain. Electrolysis has been likened to a stinging and pricking sensation, and each follicle has to go through it. Electrolysis is more painful as compared to laser hair removal treatment. Laser Hair Removal: Laser hair removal on the eyebrows can be dangerous if the laser light comes into contact with the eyes, it can cause irritation in the eyes. Therefore, you need to wear protective eye shields and keep your eyes closed for the entire treatment to avoid any contact. Scarring, redness etc can also occur but these side effects are temporary and will fade away within few days. Electrolysis: Skin can get discolored if it’s done improperly. Redness, burning sensation may also occur. Laser Hair Removal: Approved by the FDA for permanent hair reduction. Laser hair reduction can reduce hair counts 40% to 80%. Almost invisible or hair with less pigment content are not removed completely. Electrolysis: The only method approved by the FDA for permanent hair removal. But results may vary from patient to patient. Ingrown hair from the previous waxing or tweezing makes the electrolysis needle difficult to destroy the hair follicle completely. However, electrolysis is effective for ridding fine facial hair and even white or blonde hair can also be removed.